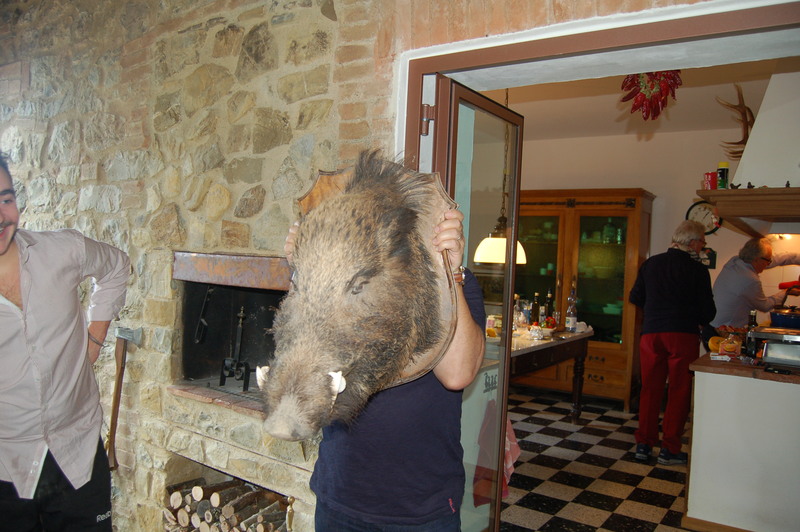 My trip to Tuscany last October seems a lifetime away. This has been a long, cold winter, and I am certainly missing the warm Autumn sun in Tuscany. And despite the fact that I have been trying to give you healthy but hearty recipes to get you through this horrendous winter, sometimes this weather calls for basic comfort food. 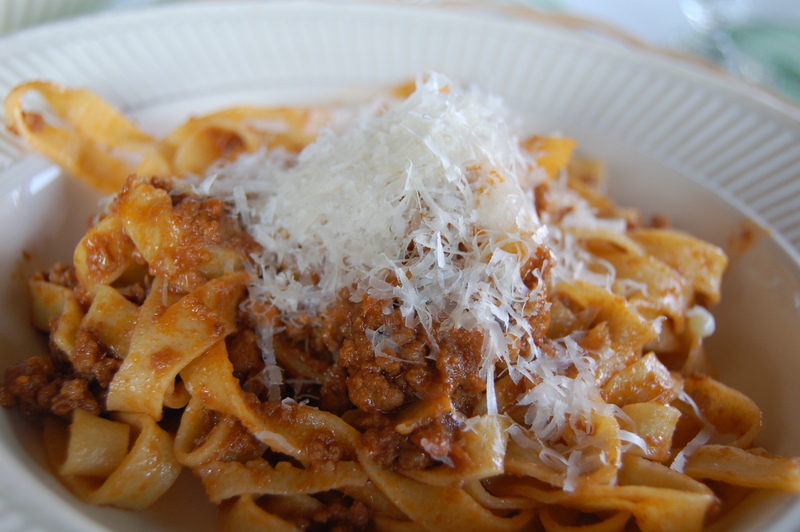 Comfort food like the cinghiale ragu I had while visiting this wonderful Tuscan farm. I could go on and on about all of the lovely meals (and the AMAZING freshly pressed olive oil) that our hosts Patrizia and Riccardo treated us to. 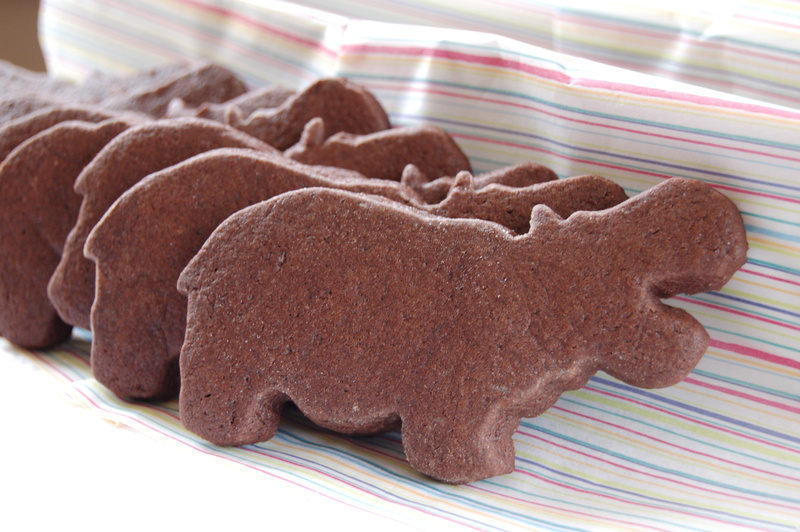 Now, you probably won’t find any wild boar running around your kitchen. But you could order from Dartagnan or substitute a local, organically raised pork shoulder. 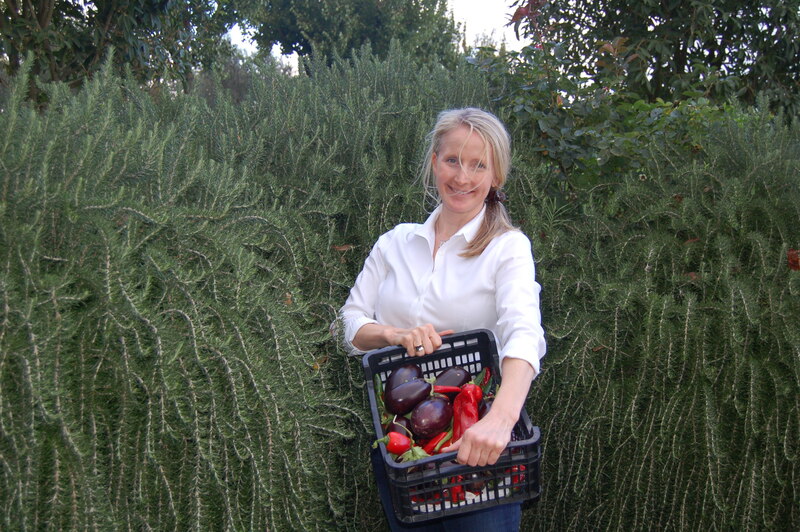 You probably don’t have acres of fresh vegetables and 6-foot tall rosemary bushes either. Don’t be intimidated by the number of ingredients. 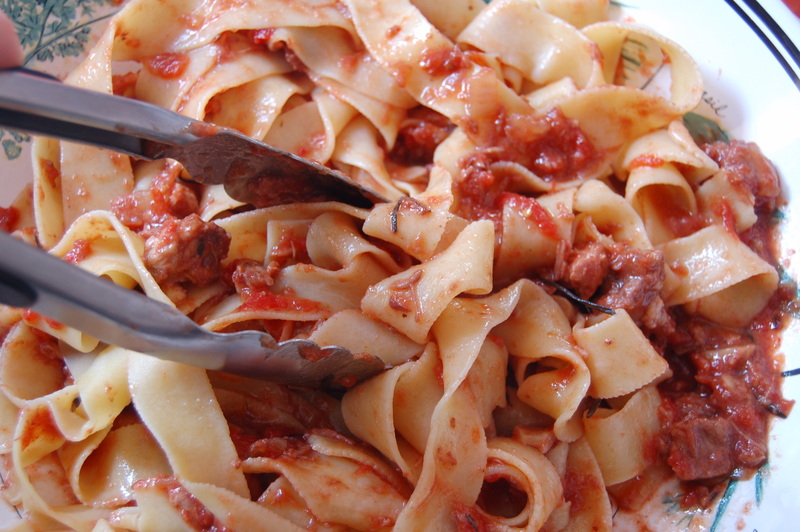 This ragu is pretty simple. And after an amazing crock-pot dinner party at my dear friend Sam and Chris’ a few weeks ago, I’ve been inspired to try this in a crock-pot. I’ve included the AMAZINGLY simple adaptation at the end! This recipe serves 4-6 as an entree, 8-10 as an appetizer. I serve it over polenta or pasta, whatever I happen to be in the mood for. 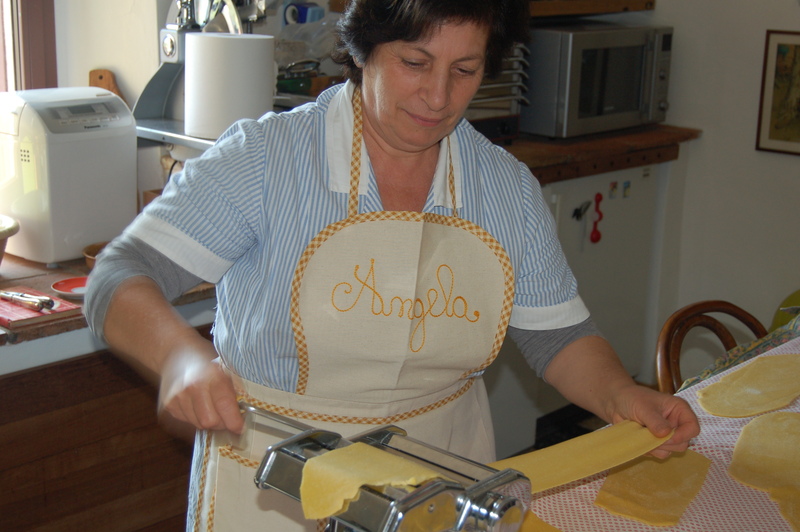 Angela made it with homemade tagliatelle, and we had the leftovers with warm polenta slices. 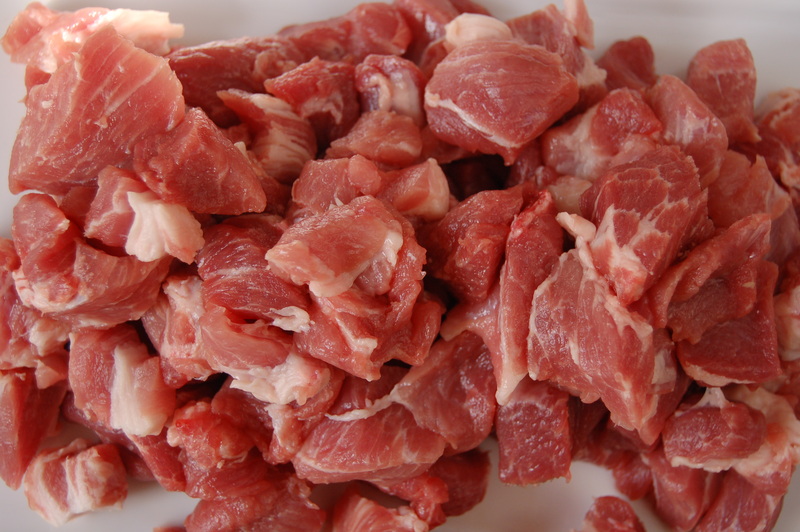 As with all meat and poultry, I encourage you to use local/organic/humanely raised. 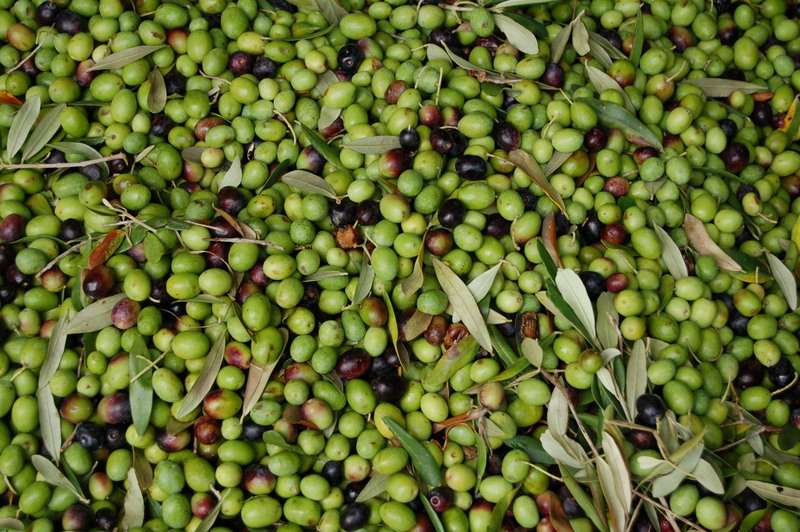 It costs more but is well worth the price….in taste, health, AND ethics. 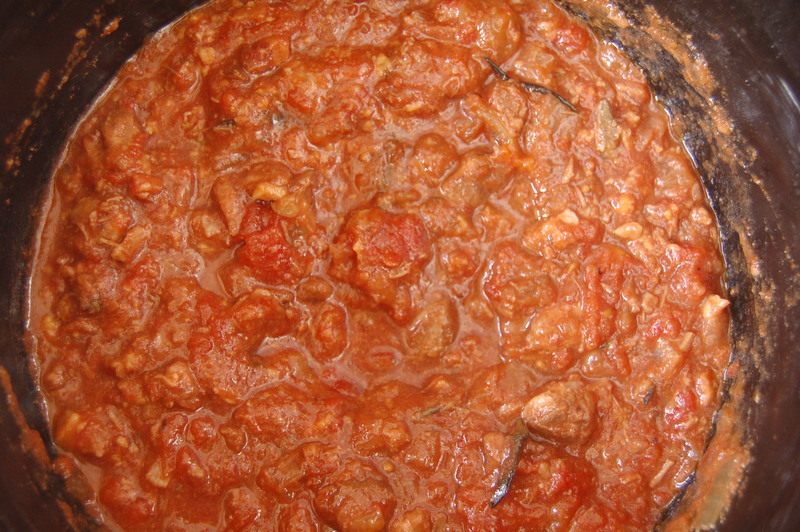 Heat two tablespoons olive oil in a large sauce pot and add pork. 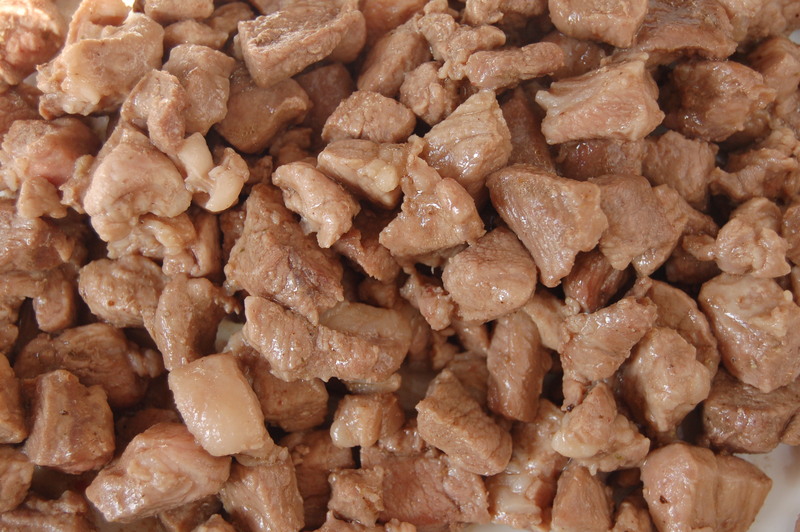 Sauté until lightly browned, then transfer pork and juices to a large plate. 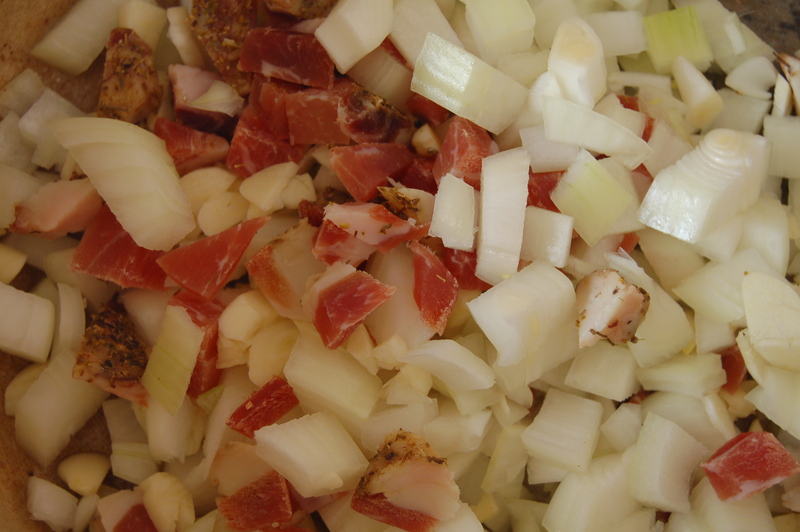 In the same pan, add two more tablespoons olive oil, onions, garlic and pancetta (or speck). 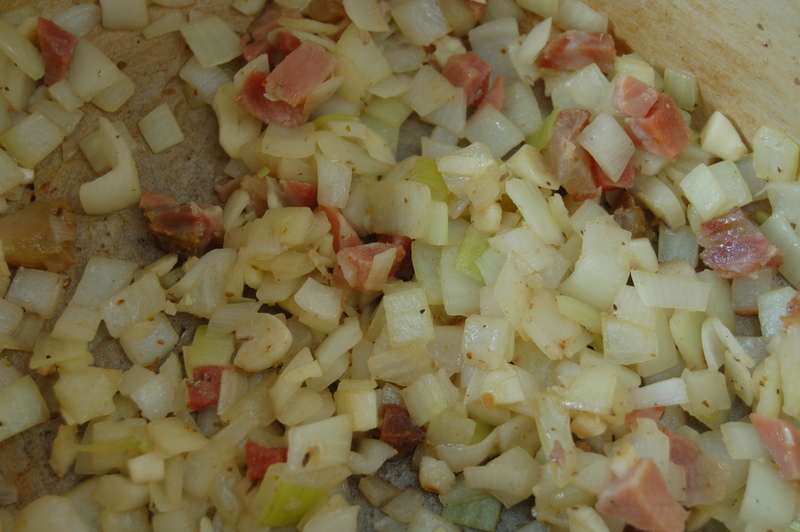 Saute’ over medium heat until onions and garlic soften. 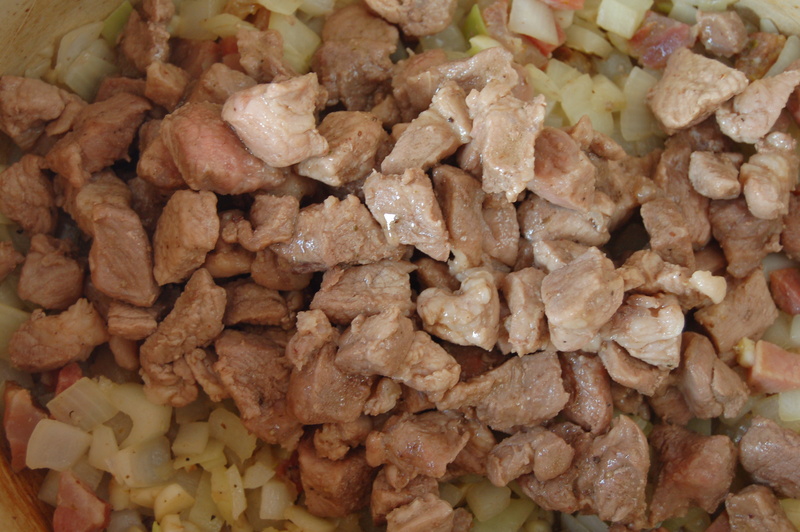 Lower heat and add pork and its juices. 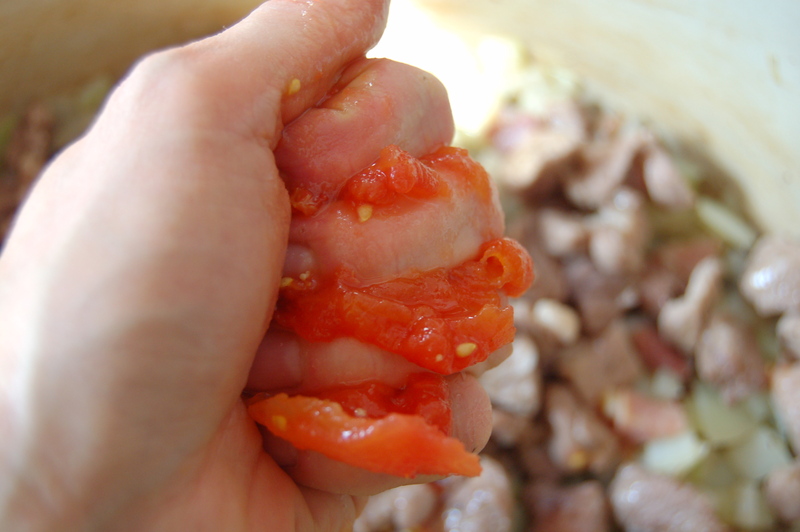 Using your hand, crush tomatoes into the pan. 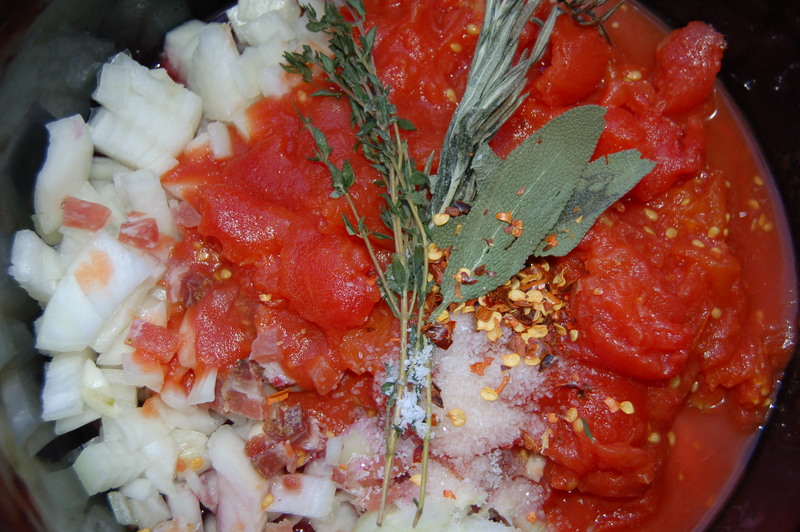 Add any extra tomato juice from the can, along with wine. Throw rosemary, thyme, and sage in. You will fish the stems out later. 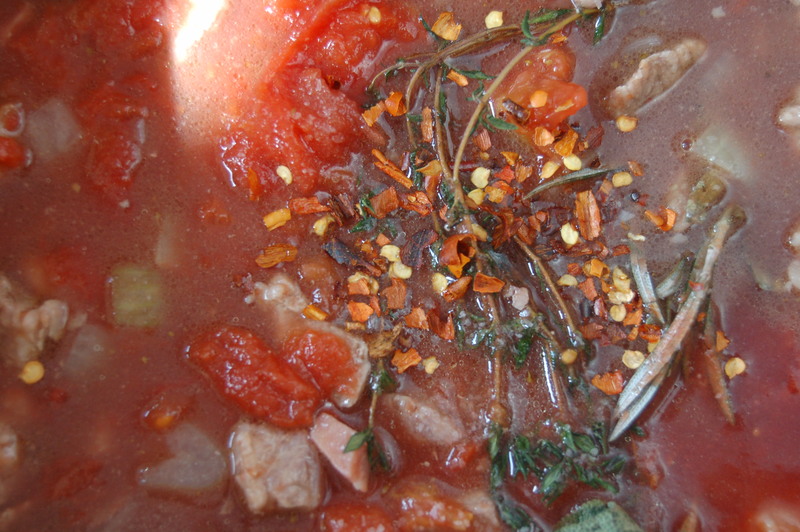 Add salt (1/2-1 teaspoon), pepper and crushed red pepper to taste. 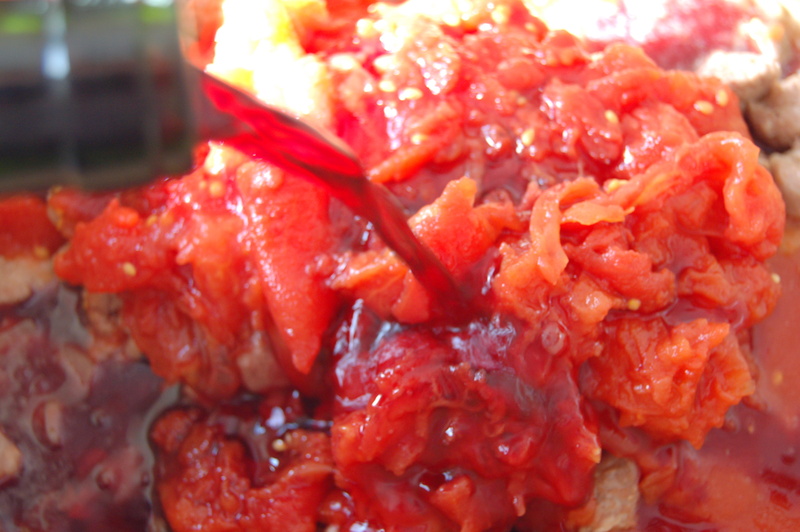 Add tomato paste and give a quick stir. Pick out the rosemary and thyme stems. Don’t worry about the leaves, it keeps the dish rustic. If making ahead, cool to room temp then refrigerate 1-3 days. When ready to use warm over low heat. 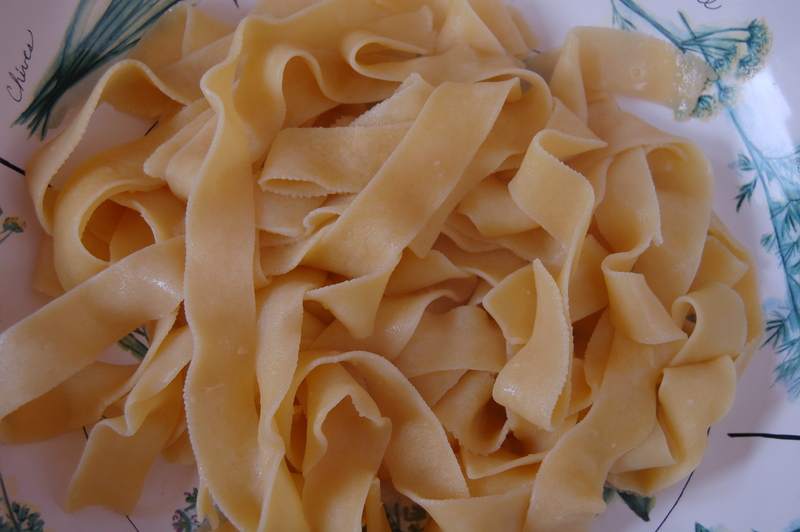 When ready to serve, toss with hot cooked pasta (save a little of the pasta water just in case the sauce needs to be thinned). 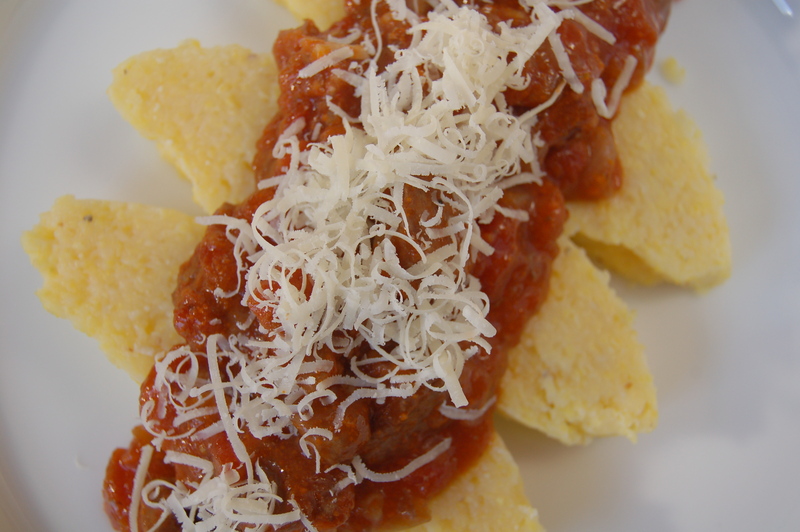 Divide among plates and top with freshly grated parmesan. 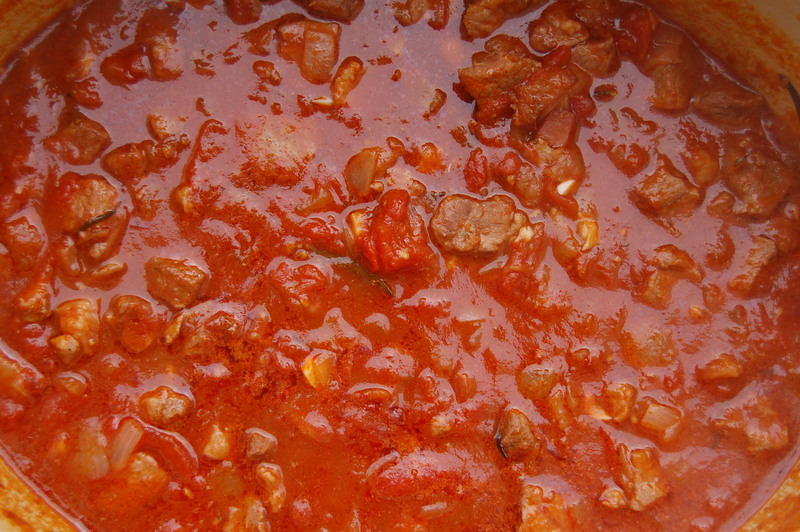 The crock pot version is embarrassingly simple. There is only the slightest difference in taste….but most people would never be able to tell the difference. If you own a crock-pot, I say do the crock-pot. 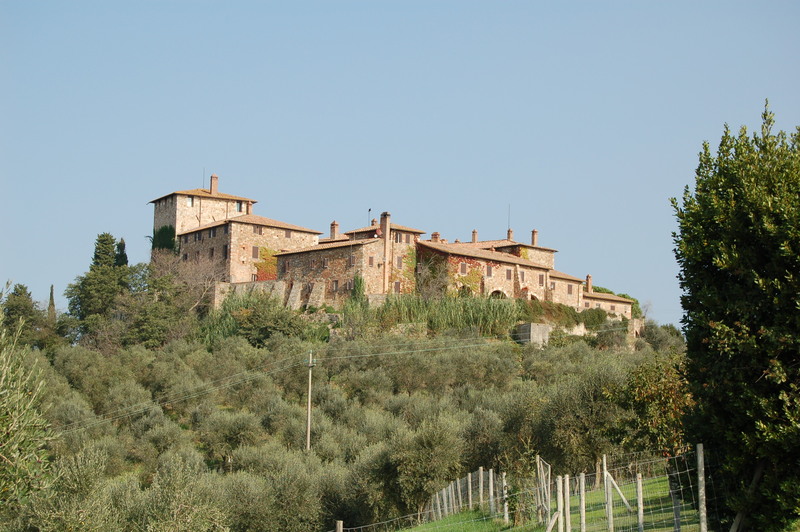 Spend all your extra time booking a trip to Tuscany. 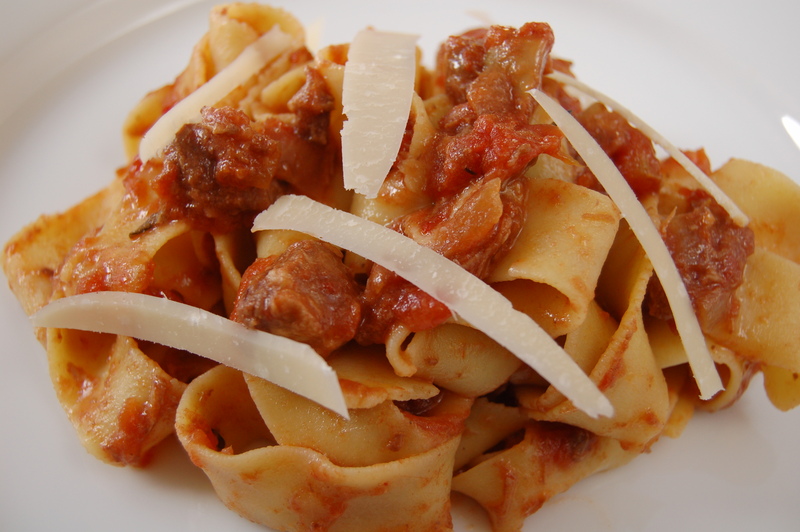 Add all of the ingredients above, except for the pasta and cheese to a crock pot. Stir once. Cover and turn crock pot on to low. Let cook 7-9 hours, undisturbed. Adjust seasoning, if necessary. Use on pasta or polenta. Don’t tell anyone how easy this is! Oh my GOD that looks good!!!! Nice! 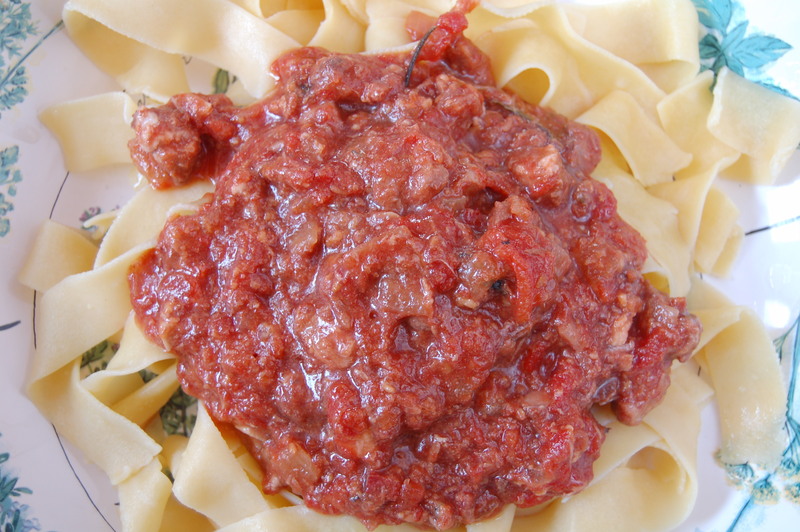 Great post, recipe, photos, all. Excellent blog.